Nick Foles will go down in Philadelphia sports history as one of the most clutch performers of all time. His timely dominance led the Eagles to their first-ever Super Bowl and has eternally endeared him to the Philly faithful. Foles' words are touching and are well worth the read. Among the things Foles discusses is his decision to return to the Eagles as a free agent in 2017. Foles notes that much of his decision was based on wanting to raise his daughter in Philadelphia because of his love for the city. Foles and Philadelphia will always share a special connection. There are still many who believe the Eagles should have kept him and traded Carson Wentz instead. 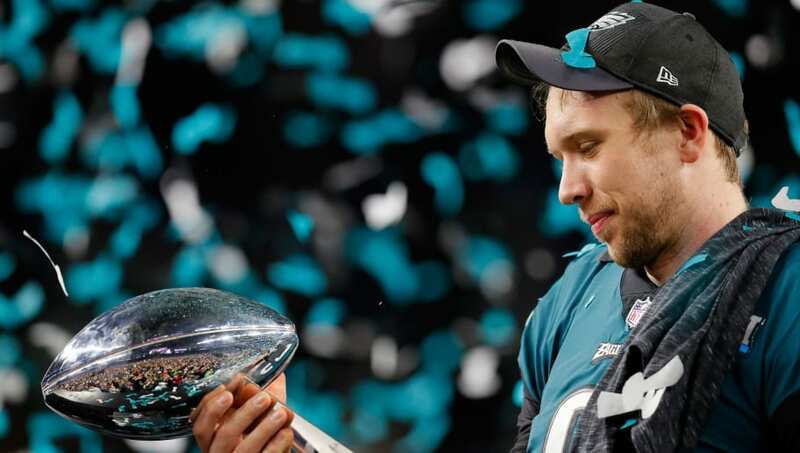 Whatever may have ultimately been the better option, one thing is for sure: Foles will always love Philly, and Philly will always love him back. That is, unless the Jaguars beat the Eagles in the next four years.